These were super fun to make! 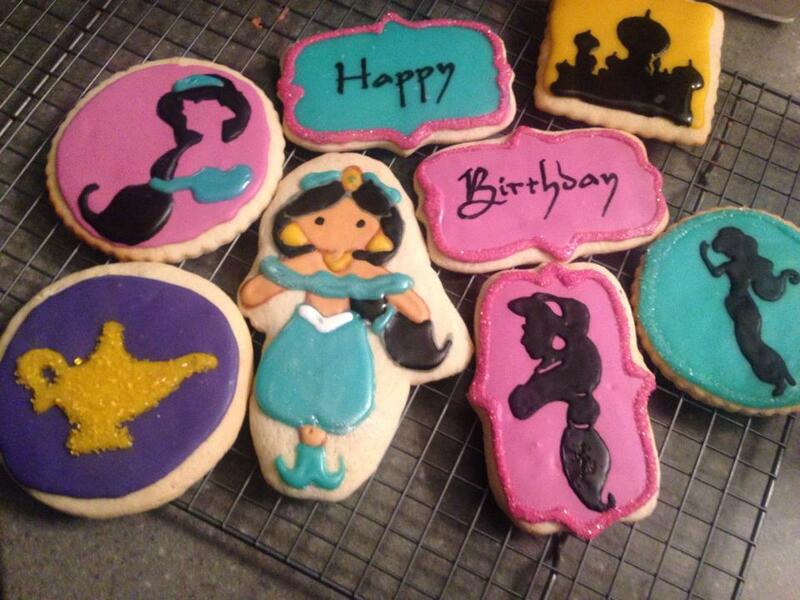 For the more intricate Princess Jasmine cookies, I used this tutorial from Sweetopia – obviously my skill level isn’t quite there yet! The font is Aladdin. The Jasmine silhouette cookies, palace outline and the magic lamp were all pulled from random Pinterest pictures and projected on using my absolute favorite baking toy, the KopyKake.